Most of the EMBA-28 students (86%) are male. The group includes specialists from 19 different industries: retail trade, mining, legal studies, logistics, construction, charity, investment, medicine, banks and finance, the public sector, heavy industry, IT, pharmaceuticals, and others. The average managerial experience of the participants is 12 years, and their average age is 38 years. 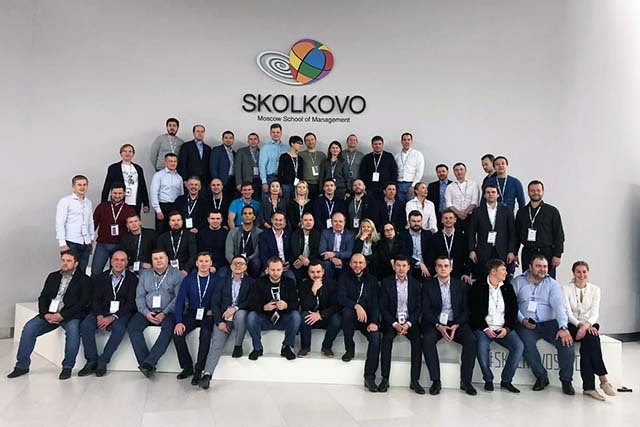 The EMBA programme at SKOLKOVO business school gives top executives and managers an opportunity to acquire strategic knowledge, to gain an insight into innovations, as well as to make large-scale decisions. The module-based programme is designed to last 18 months.